The Rio Bonefish Leader is the world's only IGFA knotless tapered tippet. Made from Rio's Hard Saltwater mono these 10ft (3 m). 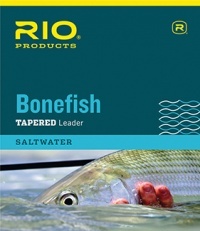 Rio's bonefish knotless leaders are crystal clear.